October is one of the busiest months of the year for my family. We have so many traditions that we fit into this month. 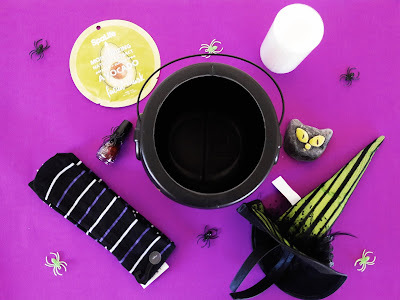 Since I have three older sisters a lot of our traditions happen to be witch related and I am always looking for witchy gifts. 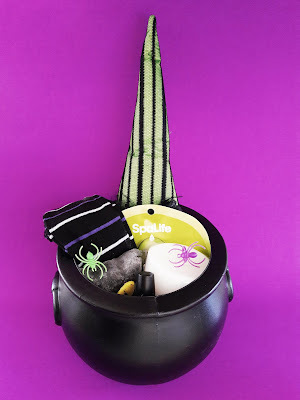 This year I thought it would be fun to give a witch themed gift basket. 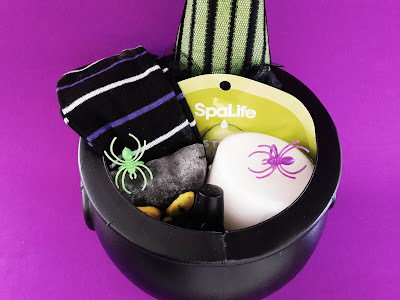 Place the tissue paper in your cauldron. I used purple so it would look like a potion. Add in your gift items. Green face mask, to keep that witch complexion nice and green. Sparkly purple nail polish, to add some magic to those long witchy fingernails. Spider rings, for some gruesome accessorizing. Striped knee high socks, gotta keep those legs warm during broom rides. Candle, for sacred rituals AKA baths. 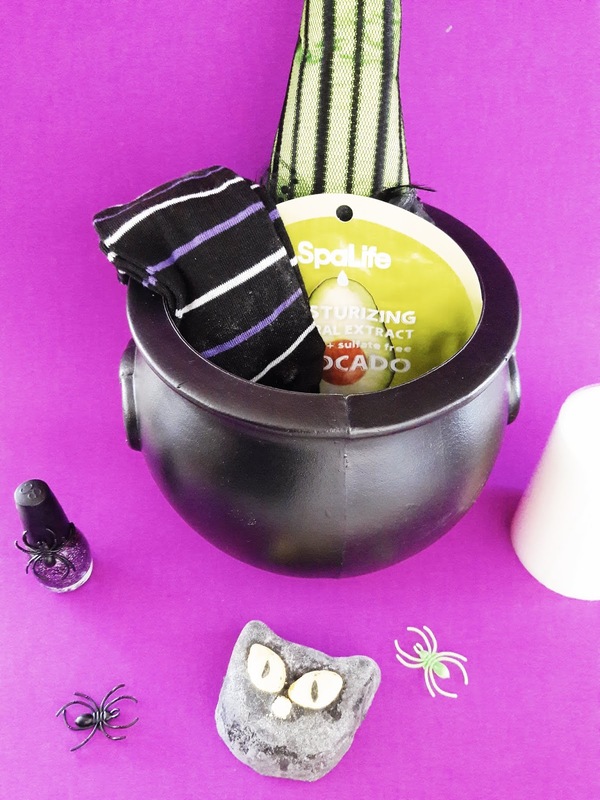 Black cat bubble bar, every witch needs a purrfect companion. 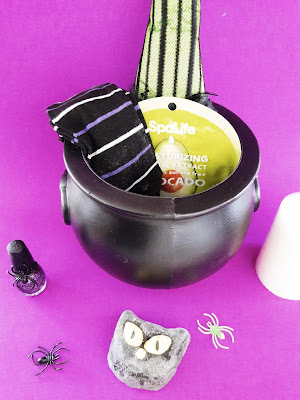 Witch hat headband, no witch should be without this classic staple. I loved this so much I wanted to keep it for myself. What a fun festive gift to give in October. And it's perfect for any occasion. Birthday, girls night out, hostess gift. What would you add to your witch cauldron?